As 2018 draws to a close, there is much to reflect on and celebrate and during Scotland’s Year of Young People, we were especially delighted to support projects lead by a range of young people. So from The Happenstance in Venice to the opening of this year’s Education Building Scotland Conference in Edinburgh, our work gave a voice to the energy and creativity of hundreds of Scotland’s young people. In 2018 we continued to offer advice on publicly funded developments, infrastructure projects and the development of homes. 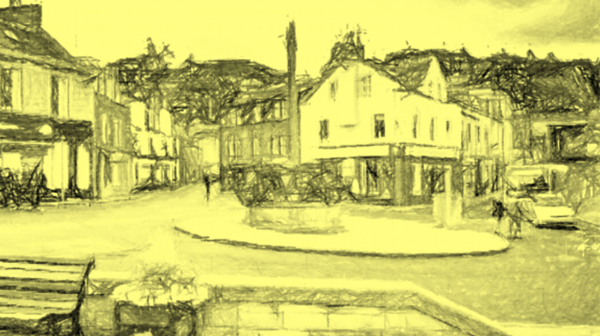 We supported communities to engage with their places and we built a network of organisations looking at the potential of town centre living to create caring places. We made our materials library more accessible by launching an online version. We supported opportunities for professionals in the built environment to develop skills and learn from each other. All of this was done to make Scotland’s built environment a better place for the people who use it. None of it would have happened without the passion and commitment of the staff and Board at A&DS and all our wonderful partners. This year saw significant changes to our board; after eight years we said goodbye to Karen Anderson as Chair of A&DS and welcomed Ann Allen as our new Chair in October. We were also joined by three new board members, and we are currently recruiting a further four posts for the Board so maybe you would like to join us in 2019? As we look forward to 2019, I’d like to thank you for your support over the last 12 months and wish you all the very best for the festive season and the year ahead! PS - In this newsletter we've included links to some of our most popular web content from 2018. A living library of ideas: In 2018 52,000 people - in Venice and in Scotland - explored The Happenstance - Scotland's contribution to Biennale Architettura 2018, Venice, brought together by artists WAVEparticle. This article - by journalist Susan Mansfield - gives a flavour of The Happenstance in Venice. At the start of 2018 we launched our Online Materials Library. This resource showcases sustainable, traditional, innovative, recycled and low carbon building materials. It allows users to browse and compare materials, explore case studies from Scottish projects and find out more about events and training. 2018 is Scotland’s Year of Young People. Young People, wellbeing and creating better learning outcomes was part of the Education Buildings Scotland Conference in 2018. 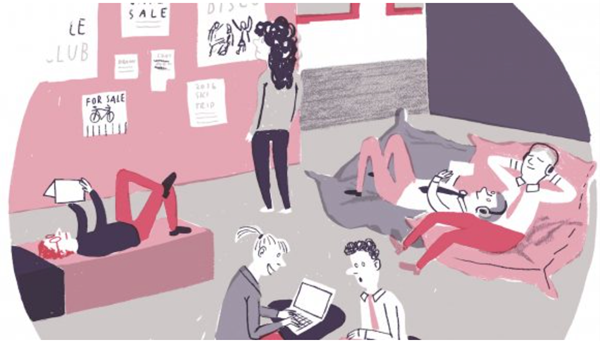 In this blog Member of Scottish Youth Parliament, Jack Dudgeon MSYP for Eastwood and Vice Chair of the Scottish Youth Parliament, asks designers to be radical when they create learning spaces. The applications close on 25 January 2019. Check out videos from our current board members and learn more about the roles on our website. Town Centre Living: In 2018 we invited a conversation on a Caring Place through our social media channels and on our website. What does a caring place look like? How we can use design to help create a caring place? 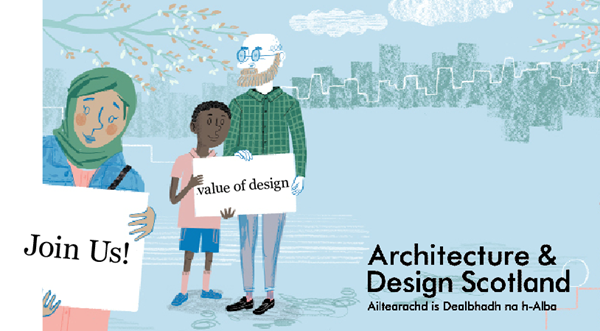 What value does design bring? 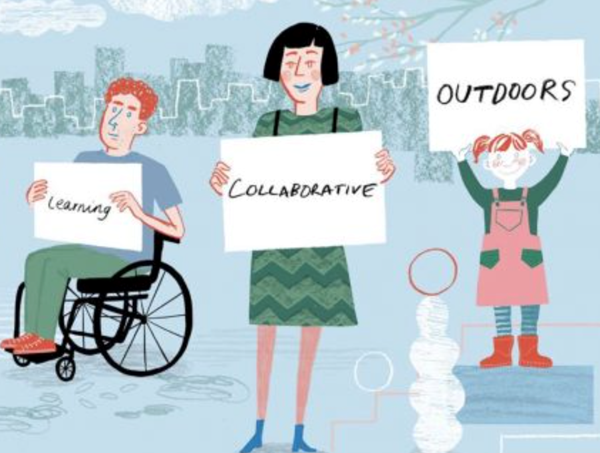 As part of this conversation we invited designers, care profession and those cared for (through the organisations that represent them) to share their thoughts. In November 2018 the Education Buildings Scotland Conference brought together different sectors across the learning estate to celebrate what works in re-thinking spaces for learning. In the run up to the conference we invited a number of design professionals to share their ideas. The focus of the blogs is on the voice of young people.